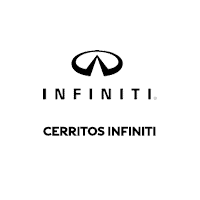 At Cerritos INFINITI, we see the power of following a preventative maintenance schedule (and the dangers of not) every day at our on-site service center. To make it easier for our local INFINITI owners in Long Beach, Torrance, and Fullerton to find the maintenance schedule for their INFINITI model fast, we created this handy INFINITI maintenance schedule library available online for your convenience. Why Follow Your INFINITI’s Maintenance Schedule? Want to know the number one way to keep your car or SUV running longer, stronger, and costing you less money in repair bills? Keeping up with its routine maintenance schedule set out by the manufacturer, of course! These official schedules are created to help vehicle owners stick to a plan for how to best care for their INFINITI. By getting the service listed in your INFINITI’s maintenance schedule completed at each milestone, you can ensure that your vehicle’s systems and equipment are working as they should, extending the lifespan of your INFINITI’s parts, and lessening the chance of a larger problem emerging. Once you download the INFINITI maintenance schedule for your INFINITI Q50, QX30, or QX60, you’ll know which services, checks, and changes are required at each milestone reading of your car’s odometer. Then, it’s up to you whether you decide to pop the hood and change the oil or leave that up to the professionals. Regardless of what you choose, you’ll need a service and parts provider you can trust close by for genuine INFINITI parts to complete your repair for fast, convenient, and trustworthy service that gets your vehicle evaluated and repaired in record time. For that, keep our certified INFINITI service center in mind! To see if your INFINITI is up to date on its manufacturer-recommended maintenance, click on the maintenance schedule link for your model on this page. Have any questions about caring for your INFINITI? Feel free to contact our INFINITI service experts at any time. We’re dedicated to helping INFINITI owners in Long Beach, Torrance, and Fullerton feel empowered in their car ownership!